Home » Are Radical Radiators the Future of Eco? Are Radical Radiators the Future of Eco? With efficiency becoming one of the most important considerations when you start to make changes in your home, new eco-friendly heating systems are worth considering. It definitely pays financially to embrace new heating systems! These new heating systems will maximize the energy output of your radiators and work more efficiently. This is good news for your bank account! With nearly 40% of all worldwide energy originating in buildings, we’re sure you’ll agree that you can make a substantial difference by improving the efficiency of your household heating systems. Stelrad’s ‘Radical’ radiator is definitely a radical step in the right direction when it comes to addressing increasing energy concerns. This radiator has been designed to operate as efficiently as possible. What sets the Radical radiators apart from other new heating systems is its ability to transmit more heat energy. The heat is transmitted to its front panels while reducing heat wastage that often occurs at the back of traditional radiators. This means you can benefit from the higher levels of heat available from the front of your radiator. Radical radiators are the definition of ‘eco-friendly’ and easily provide an impressive heating performance whilst operating at significantly lower temperatures. In fact, you could save as much as 10.5% by switching to a heating system that uses radical radiators. You will be able to get a lot more for your money! Plus, you can still enjoy the same levels of heat with a far more energy efficient system. Panel Style: This entire range is available in a single convector, single panel style. You can also choose a double panel, single convector style, depending on your heating preferences. Size: Radical radiators come in three different heights, with the largest being 600mm. There’s also a selection of radiator lengths ranging from 400mm up to 2000mm. Integrated TRV: One of the benefits of choosing Radical radiators is that you won’t need to purchase any additional items like thermostatic radiator valves. Plus, this radiator comes with a thermostatic radiator valve that works on the left or right side of your radiator. The Future of Eco Heating? Now that people understand the type of radiators you have can have a significant impact on energy use, the Radical radiator is quickly becoming a popular option. 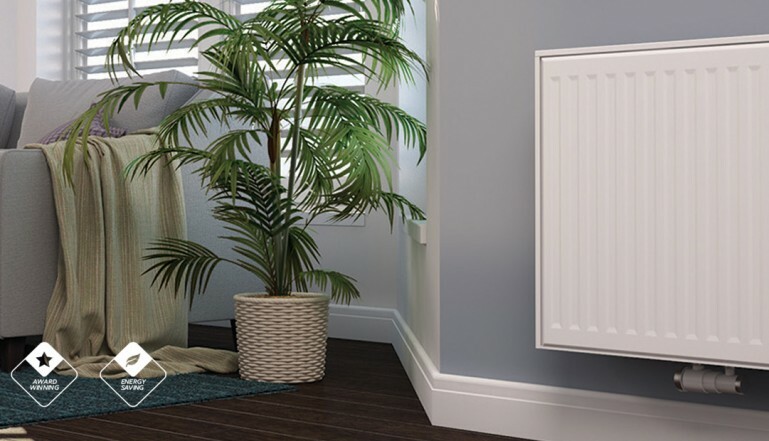 Serial feed radiators, like the radical radiator, is still a relatively new heating option in the UK. With a up to 10.5% energy saving on offer, we’re sure you will see an impressive decrease in your heating costs. If you’re looking for a household heating system that offers worthwhile savings, this could be the perfect option!